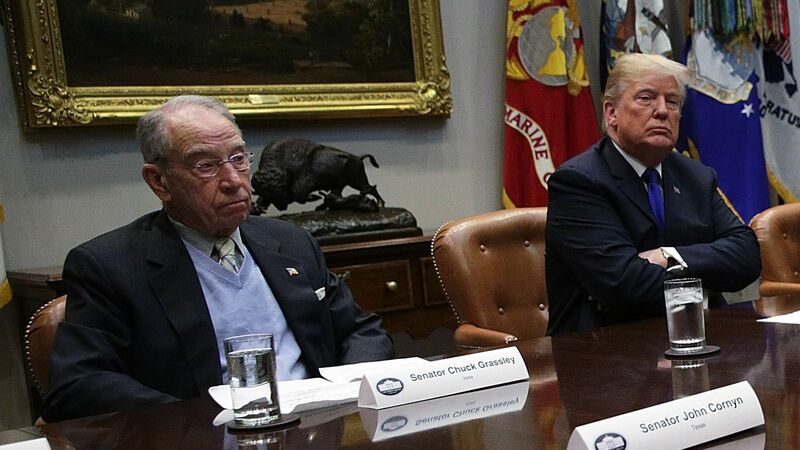 Grassley: Trump's wind turbine comments are "idiotic"
Sen. Chuck Grassley (R-Iowa) called President Trump’s recent comments suggesting that the noise from wind turbines causes cancer, “idiotic,” AP reports. Why it matters: Grassley authored a federal tax credit for wind power and helped push the legislation over the finish line nearly 26 years ago. Iowa has more than 4,000 wind turbines and generates approximately 40% of its electricity from wind power.